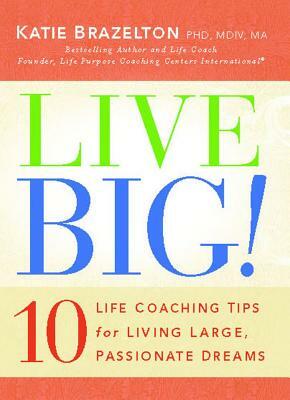 Life coach Dr. Katie Brazelton provides readers the tools they need to move from daydreaming to real adventure. In a friendly and encouraging tone, Katie takes readers through ten steps, from Face Your Fears to Capture Your Live Big Dream. Each of the ten steps gives readers a broader, richer understanding of how to start, run, and finish the race well ahead of the pack. And on each step of the way, Dr. Brazelton offers inspiring messages, stories, scriptures, and prayers..
With busy lives and complicated schedules, most people don't think they have time to fulfill their dreams while still juggling work, family, friends, and God. Dr. Brazelton's Live Big has just the right-sized bits of wisdom to help readers get started on the process of finding their God-designed purpose. .